Based in Cambridge, Grays has been producing sports equipment since 1855 and is probably the best known hockey brand worldwide. 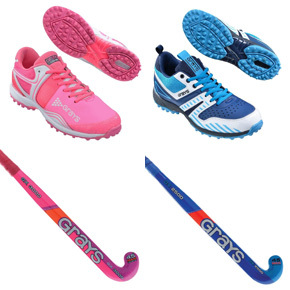 We stock a range of Grays men’s and junior hockey shoes. We also stock a good range of Grays hockey sticks at all price points, plus Grays shin guards and gloves. Adult and junior ranges available.